This is a rectangular Hubbard’s Flour porcelain sign. This particular Hubbard’s Flour sign is blue with white print. It reads, “Agency for Hubbard’s Superlative Flour, R.D. 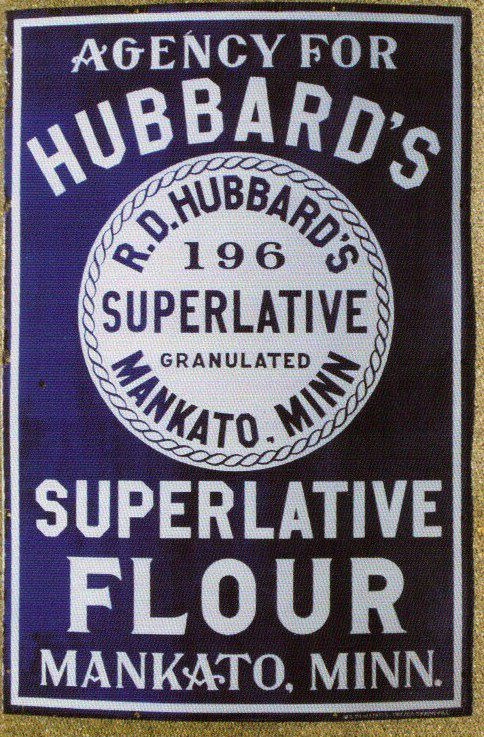 Hubbard’s 196 Superlative Granulated, Mankato, Minn” and features a white circle in the center.